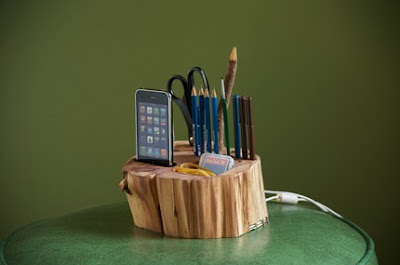 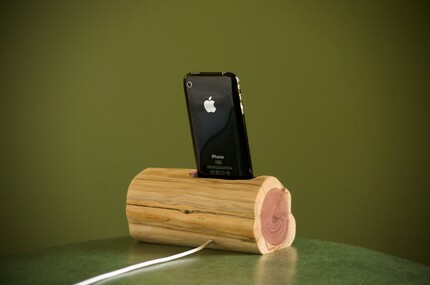 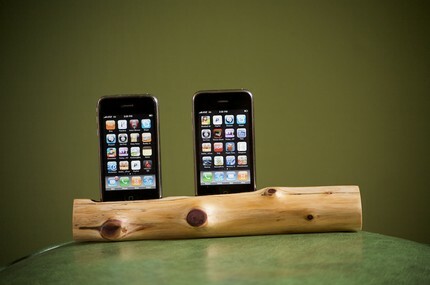 Finally, technology and nature coming together all thanks to Woodtec, creators of the wooden iPod/iPhone docking stations. Now you have a stylish, unique way to charge your iPhone without it getting scratched on your desk or lost under your stack of papers. 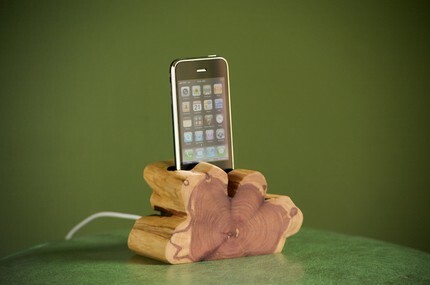 Best of all, each docking station is made from real wood found on the forest floor and comes complete with a natural, woodsy aroma.